Being a dedicated archery hunter living in Iowa, one would think every second would be devoted to finding the best funnel or food plot to set on once the calendar hits the middle of September. Not to say I’m not still jazzed after 30 plus years of hitting the deer woods, however, new challenges are sometimes the perfect medicine to jump start your inner beast. It was just this thought in an average conversation with my brother; “we should head west and do a combo hunt” he said, “ We’ve been talking about it for years…and you know you’re not getting any younger! !” So the challenge was on. 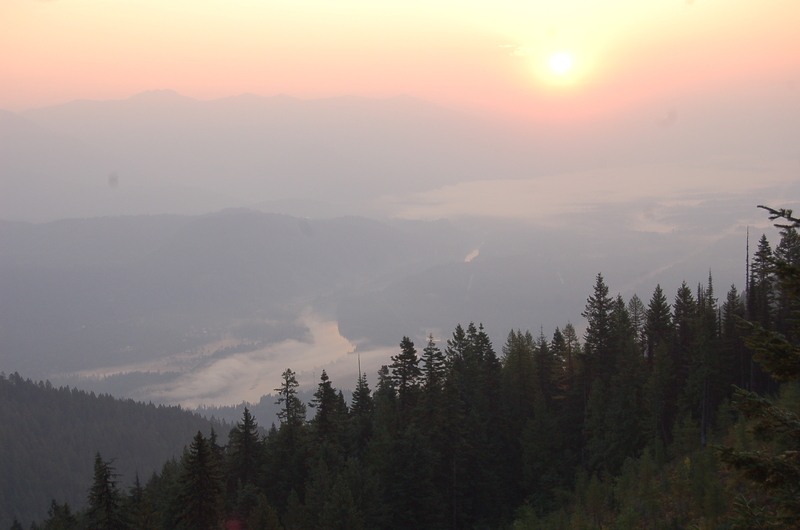 After a few long sessions on the internet and several phone calls we had decided to go far north into the Idaho Panhandle This would give us the opportunity to hunt multiple game species and increase our odds of filling a tag in the big timber of the western mountains. Tags are available as you book your hunt with an outfitter over the counter in most areas at relatively low prices; Lower than many whitetail states for elk, deer, bear, wolf and lion. If you’re up to the challenge of steep country and miles upon miles of thick pine forests, the hunting can be amazing. To up our chances instead of a DIY in one of the national forested areas, we chose to utilize a guide service. The northern panhandle region is divided into units, with 1 select outfitter owning all guiding rights to this zoned unit. With a little hard work on the internet and a couple calls we chose Clark Fork Outfitters in Zone 4A, Leon Brown out of Clark Fork Idaho offers fully guided hunts for all legal species in the northern panhandle. Our focus would be on elk and bear. 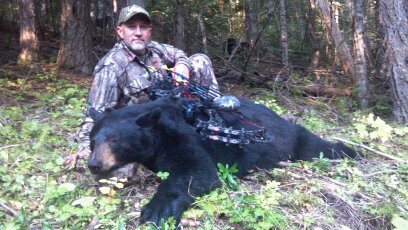 Although I have taken many bear over the years with archery equipment, my brother had yet to harvest one of the sleek predators, so this would become our first goal. Let me just say that if you are looking for a quality bear hunt, this is an area I would not overlook!! 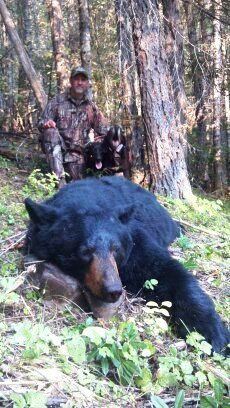 Bears of all color phases are available to hunt, with some monster bruins that will reach the 400 plus pound range. 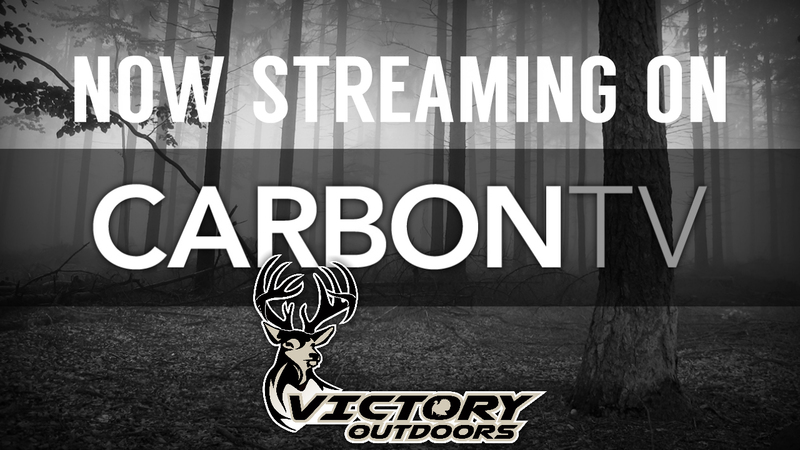 Stands with baited areas completely set and ready, you will not be disappointed. Unlike most other bear hunts I have been on, Leon doesn’t believe in baits close to each other, most baits are not with a couple miles of each other, and all have baits being hit both night and day. Not to take anything away from our outfitter, the complete solitude and beauty is almost worth the cost of admissions all in itself. But don’t get too comfortable…with the number of animals in the area; you could just as easy tagout on your elk, deer, moose or wolf while sitting on your stand! The country is rugged! Don’t take it lightly like we did! It will give you a new respect for what horrible shape you’re really in. This is a relatively low impact type of hunt that most any skill level of hunter will achieve success with either gun or bow. 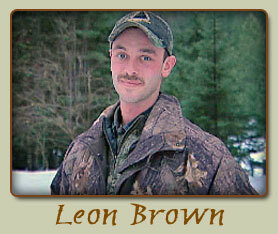 Leon and his guides are able to quickly access your skill and endurance level as to which type of hunt will give you the greatest opportunity. I had a very successful hunt for my bruin, not in the traditional way of thinking a bear should be taken over bait and waiting. I had the pleasure of taking my first ever bear with Plots’ hounds!! 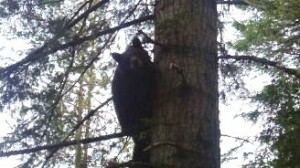 I have hunted over dogs many times for pheasant, raccoons and even Hogs, but never bear. The process is awesome to see unfold. You start by checking bear bait stations and reviewing what animals visited the bait station. Evaluate the size and times each bear had been in. If a good bear had visited it’s time to hear the music! The dogs are let loose. Usually one or two of the lead tracking dogs go first. It’s amazing to see them dive into the ruff rugged mountainsides like they are running in your backyard. Then you hear it!! The strike of a bear trail emits the beautiful deep bays of the plots hound. Once on line others are released on the track. Trust me there will be smiles all around from guide to hunter alike when you hear the rhythm of the dogs go into full chorus echoing through the canyons below. Now the work begins, keeping up with the dogs! Either by traditional way of ear and foot…or the advanced way of GPS collars. Lucky for me we were using GPS. It was amazing to hear and see the action unfold over the next hour until the bay of the dogs told the story of a mobile animal that had either decided to stop and fight or climb and hide. It may take hours to get to the site up and down the canyons before you arrive at the area the dogs have had the bear at bay. To see such an incredible animal taken in a fashion that is as old as hunting itself is truly a blessing that I am glad I got to take part in. As Leon pulled the bears back off the sight and I prepared for the ending of a great hunt, I quickly found this would not be as easy as I had thought. I had never practiced shooting 80’ straight up a tree with branches sticking out everywhere before. Not only are you at a very strange angle, you are picking a spot about the size of a 6” paper plate that has to line up on the vitals of the animal at the same time. Fortunate for me I made a perfect shot and the big bruin was dispatched in a quick fashion falling from over 70’ as he had started down the big pine before his grip would no longer hold. My heart was pounding, my breath was shallow and I was exhausted from the chase, but I had just harvested Idaho black gold. Now the true work would need to begin. Hauling out a 300lb bear from a deep steep canyon would take hours. Fork Outfitters in Northern Idaho, you can also find them on Facebook Just Click Here for one of the most exciting hunts you will ever be fortunate enough to be part of. ← “Weather” to hunt? or “Whether” to hunt? Is it even a question?